Le Marché St. George: Estevan Tuna Co. It amazes me when people take an ingredient or dish that I would usually associate with mediocre culinary experiences from my childhood, and then completely change the way I think about it. 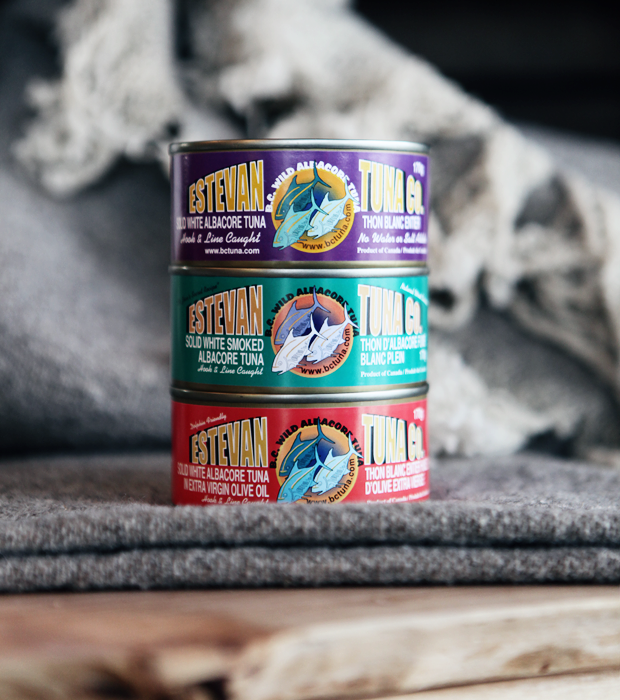 Such is the case with Estevan Tuna Co. This tuna is caught by hook and line, then sold by fishermen in Courtenay, British Columbia. I usually see Estevan products being sold at farmers' markets. Their booth is always swarming with people who are thrilled to get their hands on a local, sustainable, healthy and delicious product. I'm excited that we have this delectable albacore tuna in our shop, as I'm sure a lot of people won't have to wait until the next farmer's market to get some!